If you have been searching for a breathtaking photograph that shows the Earth’s natural beauty at its finest, then your search is over. 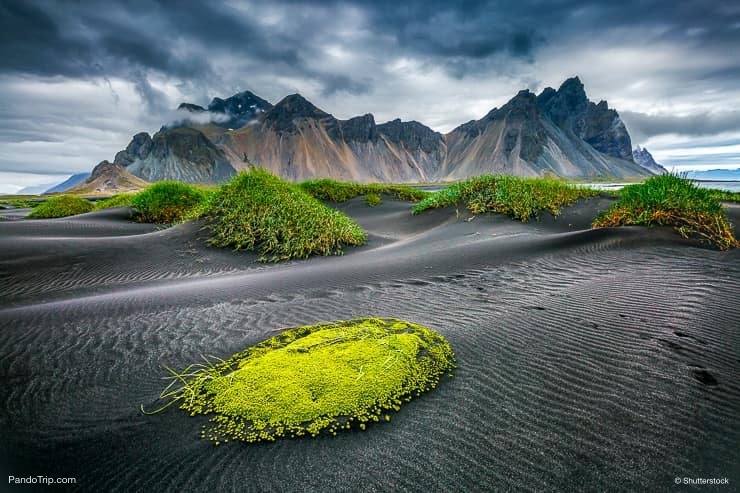 Vestrahorn, on the Stokksnes peninsula in Iceland, has dramatic peaks reaching up to 454 meters (1490 ft). It rises out of a flat, black sand beach and dominates the view whilst a gentle clear lagoon laps at the shore. This stark contrast is sure to set your heart, and your Instagram, on fire. Lovingly nicknamed the “Batman Mountain” we can see why this mysterious mountain has been captivating visitors for years, but it is only recently receiving mainstream attention. Let’s take a closer look and see what secrets about Vestrahorn the “Batman Mountain” we can unearth. How to get to Vestrahorn? 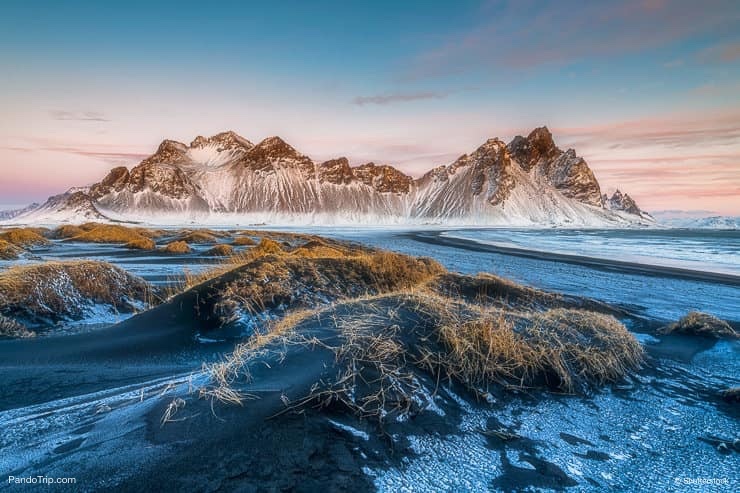 The awe-inspiring Vestrahorn is located near to Höfn on the Southeast Coast of Iceland. You may struggle to find the exact location on Google Maps so at the end of this article we’ve included a map to help you. It may be somewhat difficult to find, but you’ll thank yourselves, and us, for this incredible sight once you get there! Drive away from Höfn on Route 99 (Hafnavegur) and stay to the right as it turns into Route 1 (Thorvegur). Follow this road until you come to a right turn for Stoksness. Be careful because the road will turn into a gravel road with narrow spaces. Continue on this road and you will see a corner cafe called the Viking Cafe. Head past the cafe, following any signs you see for the Radar Base and on the left you will see the grand mountain. Take Route 1 (Thorvegur) from Reykjavik, after 451km you will see the turnoff for Route 99 (Hafnavegur) to Höfn. Be sure to stick to the left-hand side of the road and follow Route 1. After about 7km, take the signposted road heading South to Stokksnes radar station. You’ll soon see the Viking Cafe and the mountain come into view. Get your camera ready! Tips: As the road to Vestrahorn is private property, you might have to pay a small toll so make sure that you have change. 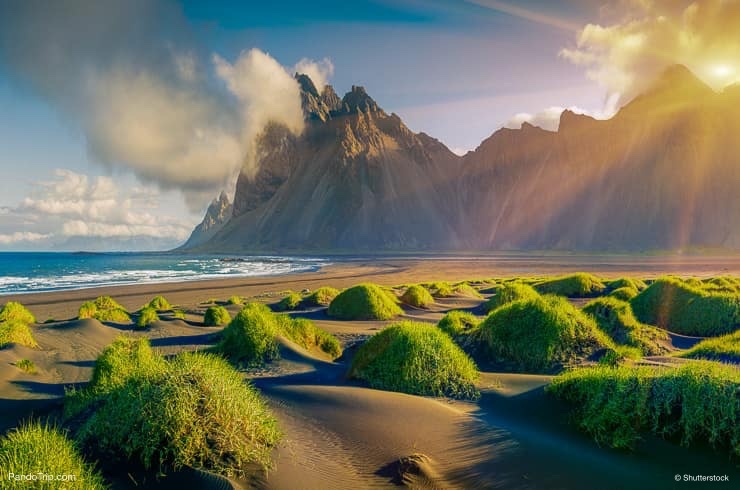 The best time to visit Vestrahorn? Although Iceland has four seasons, it might not seem like that when you visit, it is notoriously unpredictable. However, you’ll be pleased to know that, unlike many people think, the sun certainly does shine and in summer temperatures can reach 17°C. On the other hand, during the winter months, you can expect misty spells, plenty of rain and chilly temperatures. Luckily for you, Vestrahorn offers a fantastic sight in all seasons. – Daylight Hours: 20 hours in June, 16 hours in August. – Most popular time to visit the Southern coast, and as such, accommodation prices increase. – Numerous activities, events, and festivals in Iceland, so book in advance. – The interior mountain roads are opened for 4WD vehicles and hiking pathways are cleared. – Daylight Hours: 18.5 hours in May, 12 hours in September. – Breezier weather, cloudy days and occasional snow in the interior regions. – Fewer tourists and prices are cheaper. – Daylight Hours: 9 hours in October, 5 hours in January, 14 hours in April. – Many minor and interior roads are closed due to weather conditions. – Change in activities available, such as ice carving and winter sports. – Potential to see the Northern Lights. It is difficult to predict exactly the weather and temperature around the mountains. Below we have included a table of the average weather in Höfn, which is about 10km away from Vestrahorn. The farm-owner runs the Viking Cafe and charges visitors a small amount to explore the Vestrahorn area. 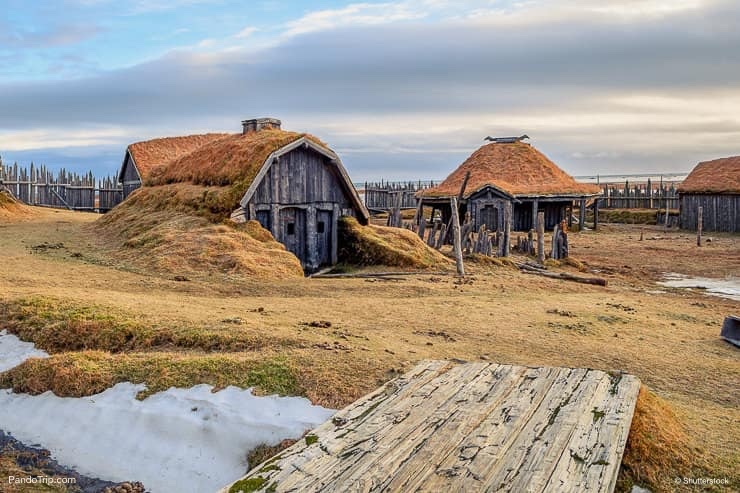 After paying your visits to the mountain, pass through the interesting and photogenic 2009 Viking village film set which was created for Icelandic film director Baltasar Kormakúr. Remember to explore the views from the path beside the Radar and you’ll be swept away visually by the stunning black sand dunes and beach. These famous surroundings were formed as a result of volcanic rock being ground down over many years to fine particles, it’s an incredible sight to see. Where to stay, eat and drink near Vestrahorn? There are a number of accommodation options in and around Vestrahorn. 1) It is possible to actually stay within the Viking café. You will be on the doorstep of Vestrahorn and have easy access to food and drink during your stay too. They serve excellent coffee, waffles and cakes. 2) Dynjnadi Farm Holidays is another option, located just 8 minutes drive away from Vestrahorn. You can expect stunning mountain views with simple room designs and WiFi. There is a free breakfast provided every morning and hot drinks are available throughout the day. 3) Staying in the nearby town of Höfn is always an option. There are many choices in Höfn including guest houses, farm lodging, and hotels. Click here for the latest availability. You’ll be spoilt in terms of eatery options. Three of the best are Ishusid Pizzeria, Pakkhus Restaurant, and Humarhofnin. What other things I can do in Höfn? Once your breath has come back to you after being taken away by the awe of Vestrahorn you could spend some extra time enjoying the other sights on offer. Höfn is an ideal base to explore Iceland’s largest ice cap Vatnajokull, and the surrounding National Park. Vatnajokull is the third largest ice cap in Europe and is a sight not to be missed. It is rapidly melting, so be sure to capture this wonderful sight in your heart and memories before it is too late. Jökulsárlón glacier lagoon forms a part of the Vatnajokull National Park. It is naturally made and offers the chance to see seals floating past. Immensely beautiful, these popular sites have become the main attraction for tourists and film companies alike. We wonder after your visit if you’ll be able to spot the landscapes in two of the James Bond films (Die Another Day and A View to a Kill) and the popular movie Tomb Raider. Traveling around to all of these places can be difficult by yourself. There are a number of tour guide operators that may be of interest to you. 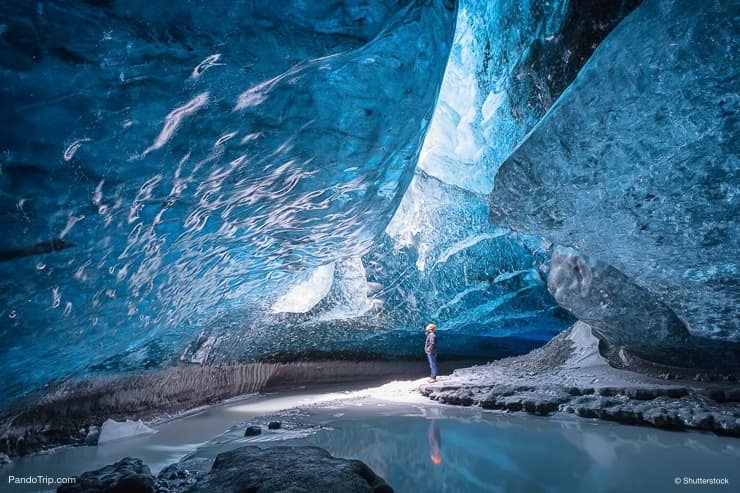 You can try Boat Tour of Jökulsárlón glacier lagoon or Ice Cave Tour. How many times have you come back from your holiday to say that the photograph doesn’t do it justice? Well, we’ve got you covered… simply follow these photography tips and you’ll be guaranteed great shots. The hardest thing to work with in the Vestrahorn area is the framing as the landscapes are so vast. You might even be lucky enough to see the Northern Lights play across the sky. The beaches can be especially hard to frame so try to find a clear sand dune or similar feature that can be of good use in the foreground of your picture. – Try to find different textures to emphasize your photographs – this could be the jagged rocks of the mountain or wet sand along the beaches. – Search around and aim to capture some incredible reflection photos. Iceland is beautiful and awe-inspiring in every season. In Winter especially, you’ll discover some incredible fairytale sights but it comes with its own level of difficulty. You’ll need to be extra careful traversing the roads which are open as they will be slippery due to the subzero temperatures. Many of the roads actually close during winter for safety. You will need a 4WD car. Don’t let that put you off though as Iceland in winter is what dreams are made of. We’ve given you all the information that you need to enjoy your discovery trip to Iceland. All you need to do know is search for your flights and get booking. Iceland is waiting to be explored by you and the Vestrahorn Mountain is sure to be the highlight of your trip. So, stop Facebook scrolling, take a 5-minute break from work and book your once in a lifetime trip today. We promise that you won’t regret it!